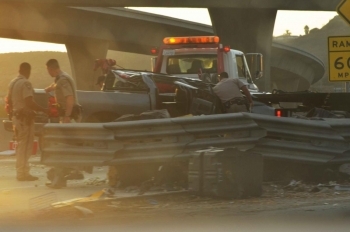 According to the California Highway Patrol website, a silver Chevrolet Silverado struck the center divider and overturned, coming to rest in the number one lane. A grey pickup truck also overturned. Traffic is snarled and lane closures are in effect.